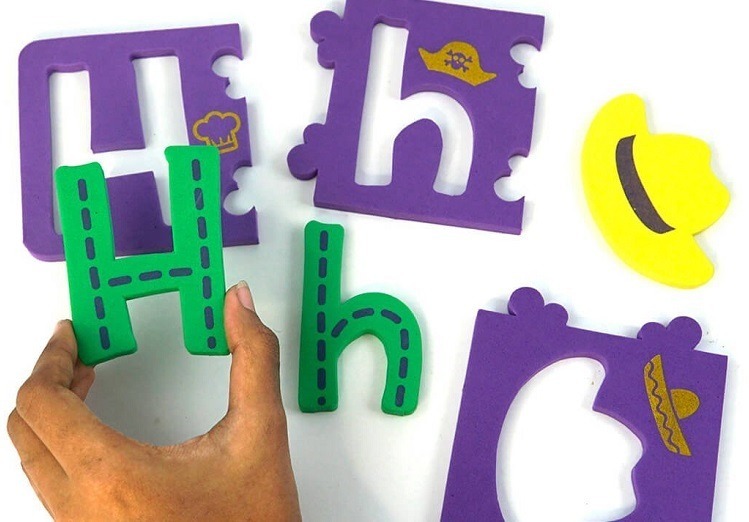 The self-correcting alphabet puzzle is made out of soft foam. It introduces your little one to capital and small letters along with objects that they can relate to. 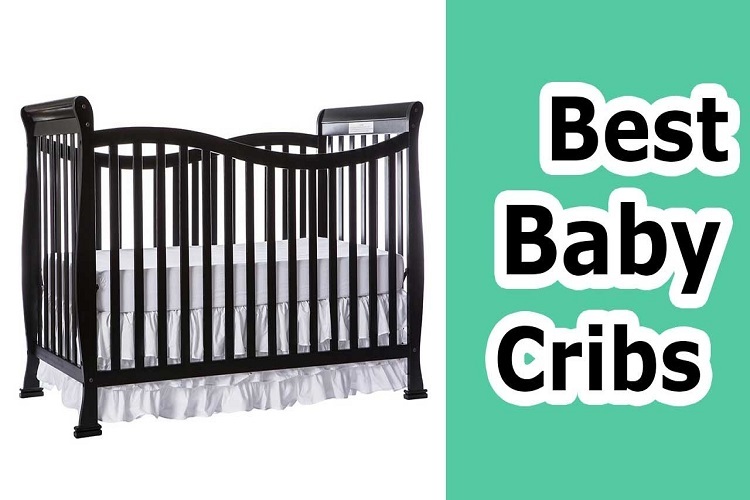 It is ideal for kids who are less than 2.5 or 3 years old. 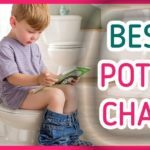 The simple reason being, your kid can tear the foam by applying a lot of pressure. The most obvious step after recognizing alphabets and songs is to start writing them. If you introduce them to writing helping tool early on, it will help them sustain the interest levels. The wooden writing board by GoAppuGo is handy in such times. It introduces your little one to small and capital alphabets along with numbers. 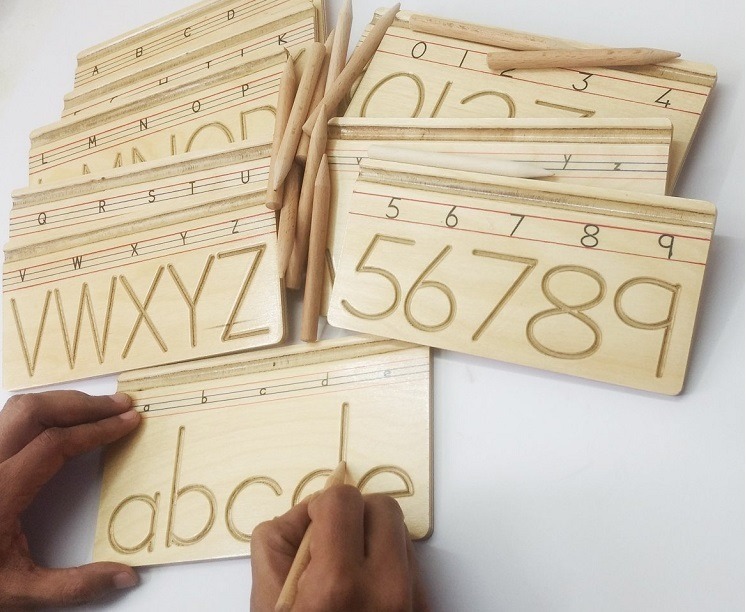 These wooden plates consist of 4-5 alphabets or numbers and will help them with good handwriting from the early days. Click here to buy it. 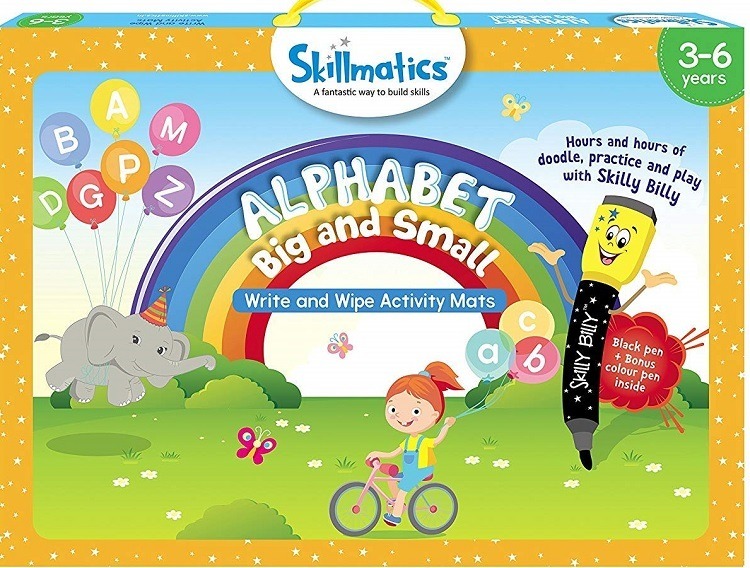 This set by Skillmatics consists of a board that you can wipe after use. There are more than 30 different activities which introduce your little one to alphabets and numbers through fun based games. The set includes 6 mats which are double sided, one duster and two pens. It also has a completion certificate so that you can appreciate your little one’s efforts. 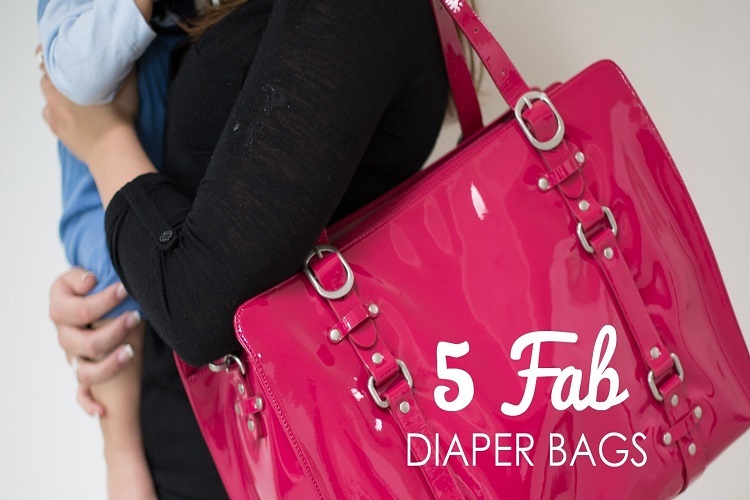 You can buy this for your little one by clicking here. 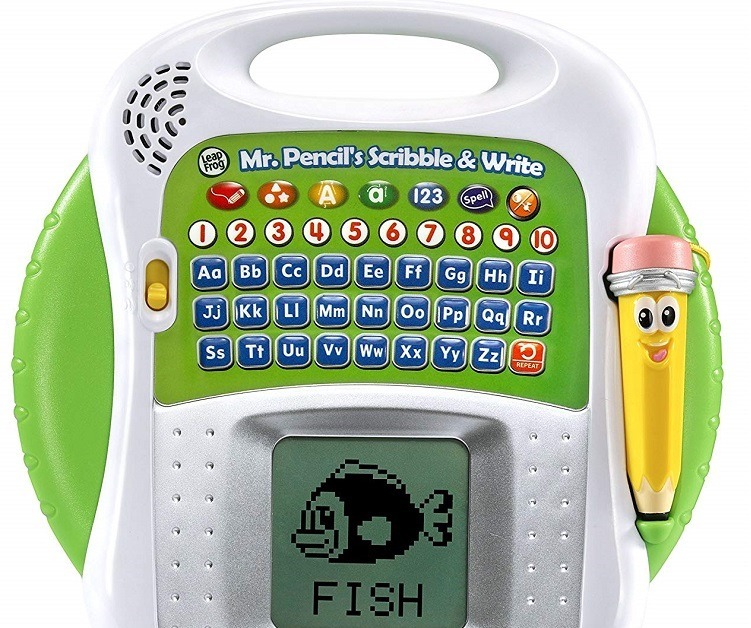 Leapfrog has a tech savvy way for your kids to learn alphabets and numbers. There are keys which denote alphabets in smalls and capitals along with numbers. Your little one can press any of these keys and the same will be highlighted in the screen below. They can then trace these and learn how to write. If they go wrong anywhere, the writing pad will provide feedback. 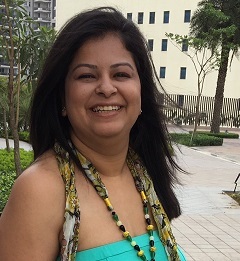 Buy it by clicking here. 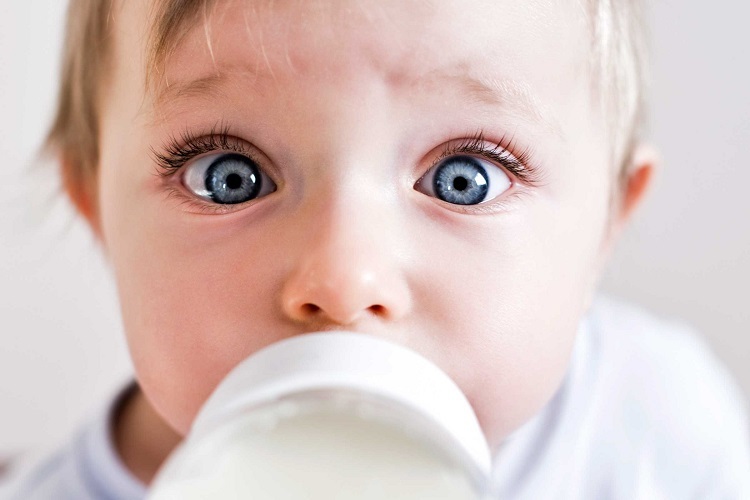 When kids use all their senses, they are more likely to learn and understand things. This is one of the concepts that Montessori’s rely on. 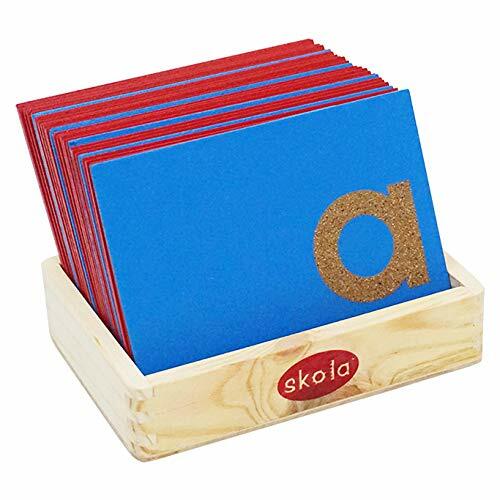 The sandpaper learning tool by Skola has alphabets in textures, so that your kid can feel them. At the same time, you can also teach them phonetics of alphabets. You can buy it by clicking here. 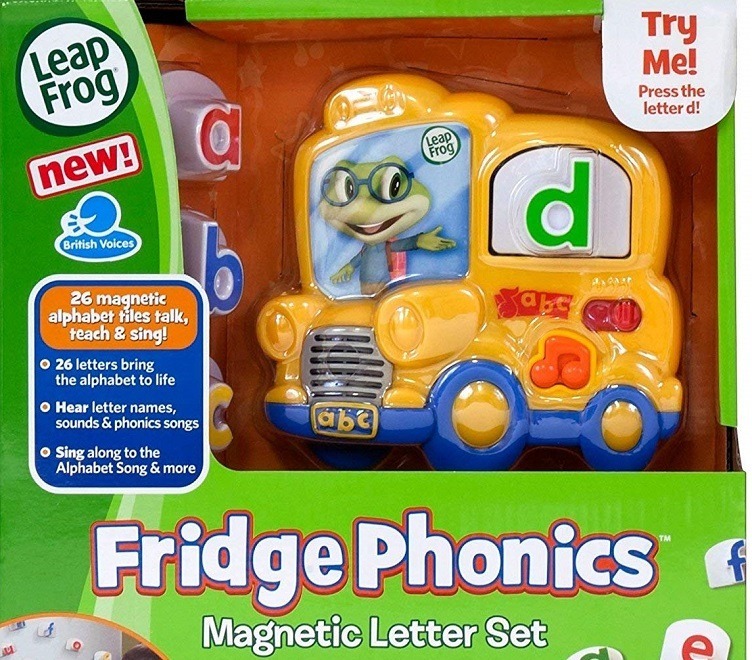 Another interesting product from Leapfrog which is suitable for kids above the age of 2 years. They toy comes with 26 tiles and when your kid places these tiles on the console, it reads out the letter and a phonics song along with it. It also has a couple of rhymes if your kid wants a break from alphabets. You can buy it by clicking here. There are hardly any kids that do not like Legos. 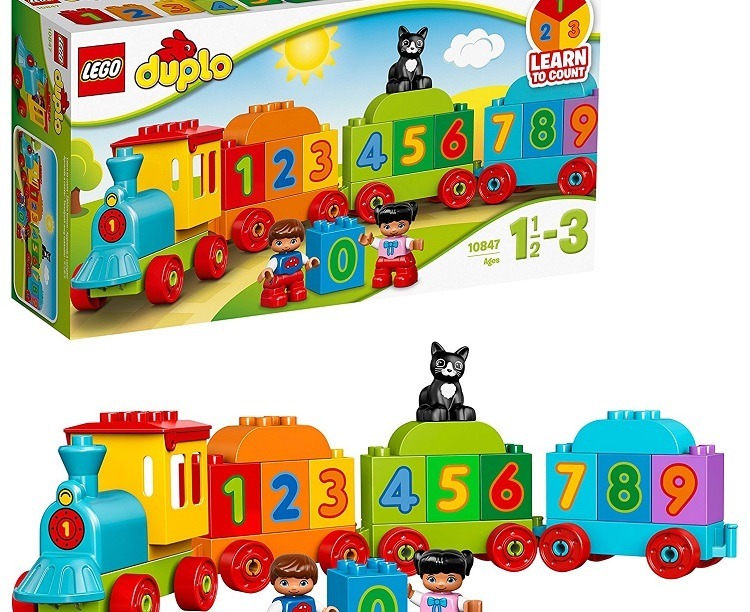 The Duplo number train ensures that your kid start learning numbers starting from 0 to 9. Since it is a Lego product, you can count on its durability. Buy it by clicking here. A few kids like playing with puzzles. If your little one like puzzles, the elephant puzzle in the jungle is a good starting point. The puzzle has several numbers and placing them correctly will solve the puzzle. This will help your kid learn numbers and their sequences. There are a couple of puzzles that you can choose from. Buy it by clicking here. This game by Toyshine serves multiple purposes at the same time. 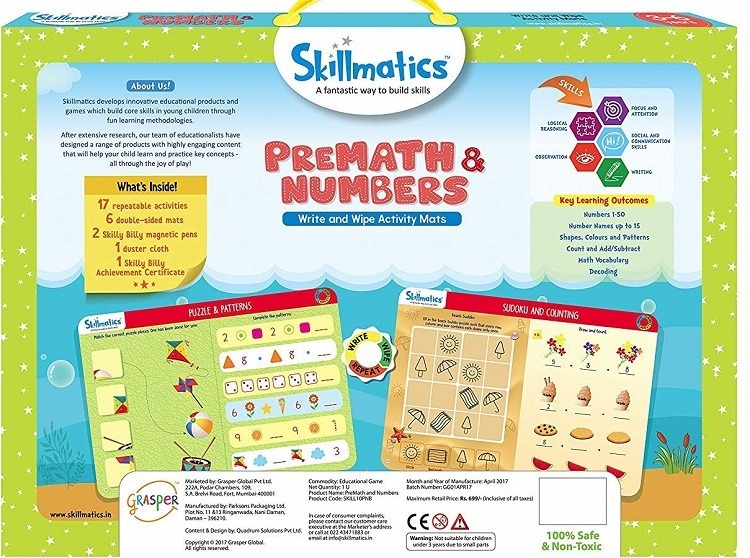 You kid can learn numbers and their sequences along with various shapes. If you wish, you can also teach them how to read the clock at an early age. Click here to buy this amazing toy. 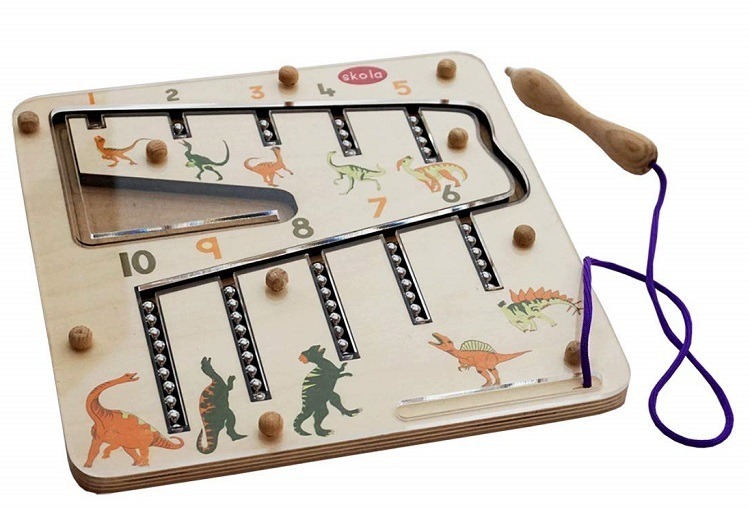 This interesting game by Skola toys will help your kid learn the concept of quantity. 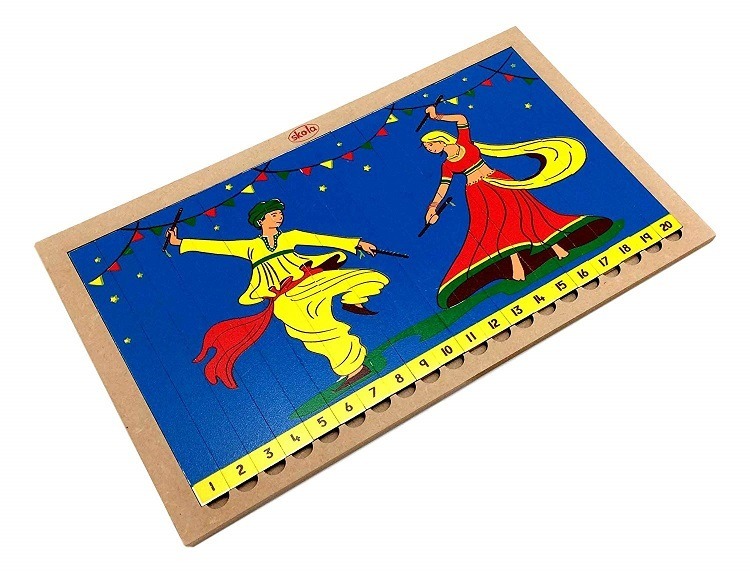 There is a magnetic pin along with the board, using which your kid can move steel beads. Kids not only learn numbers 1 through 10 but also understand what these numbers quantify. Buy this toy by clicking here. 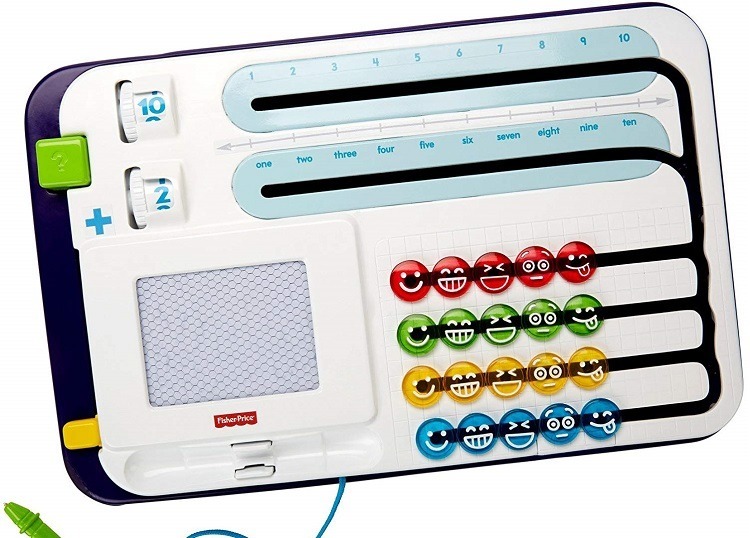 This game by Fisher Price is for kids who are comfortable with numbers and now wish to add numbers together. There are different color tokens and they can use these to add numbers and grab the concept of addition. You can buy this by clicking here. This is yet another game from Skillmatics. The game is good at introducing numbers, counting, colors, patterns, shapes and so on. 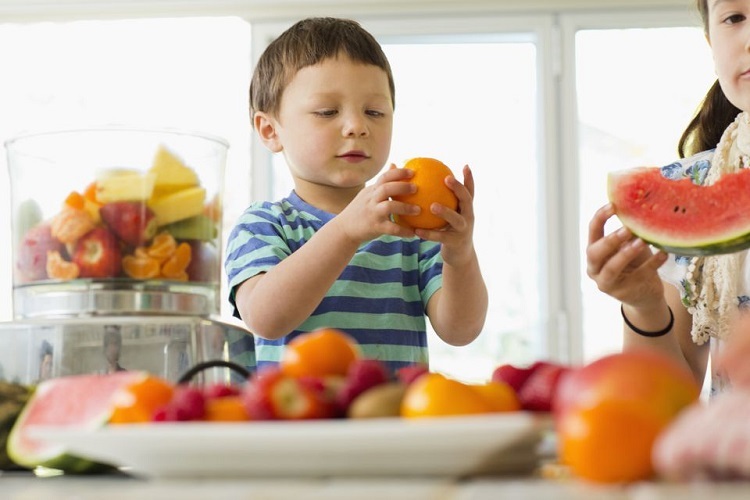 There are 17 activities that your kid can repeat to understand all the above mentioned. 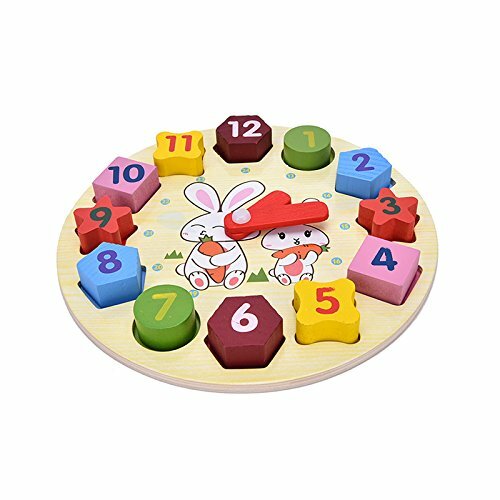 After the completion of the game, your little one will be able to count from 1 to 50 and know the names of numbers from 1 to 15. 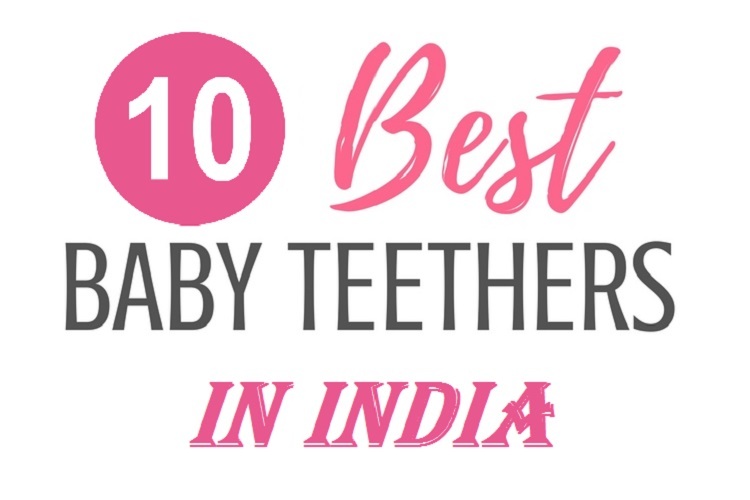 Gift this to your little one by clicking here.